When am I going to learn not to take blog photos under my stove light? It makes everything look yellow and boring. Sigh. 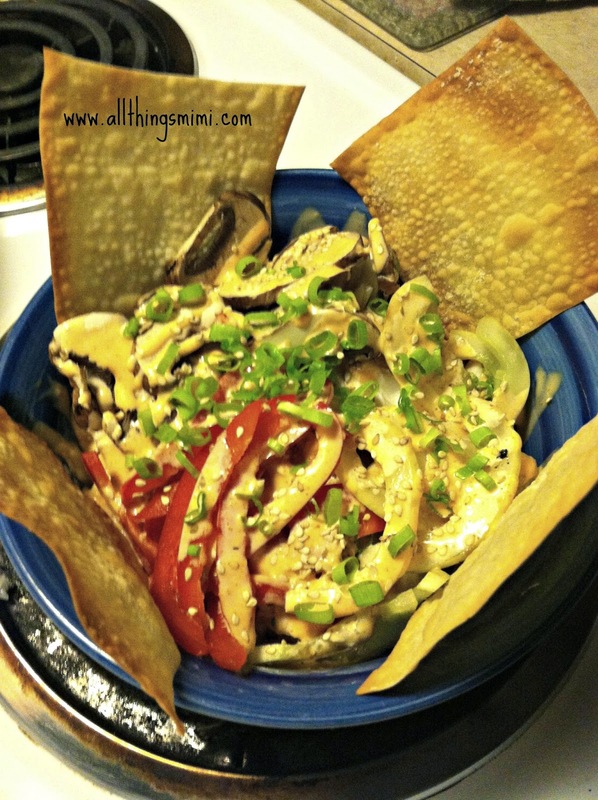 So this is sushi salad, or as the blog I stole it from called it, "Lazy Sushi". I like this idea for several reasons. First, I'm lazy. Second, it would make it possible for me to eat sushi way more often than I presently do. Thirdly, there are literally thousands of variations you could dream up for this. I pinned the recipe from a blog called Lea's Cooking. I followed her recipe pretty exactly and it turned out great. The only change I will make next time (and there WILL be a next time) is, I will leave out the canned tuna. It was ok, but honestly, I would just use the crab or maybe even throw in a few sautéed shrimp. The tuna didn't see to fit in. I think I might also throw in some edamame next time. I added the baked egg roll wrapper crackers. I like the different crunchy texture they brought to the party. You could fry them, but I was trying to be somewhat healthy, so I baked mine instead. This was a great find. I am absolutely positive I will make this again. I think it would be ideal for school lunch, or quick dinners during the week. It's almost like an Asian spin on a Mexican burrito bowl- only better!